Sam's First Day of His Last Semester of "Jardin"
Today was the first day of Sam's last semester of "jardin" or what they call pre-school in Chile. 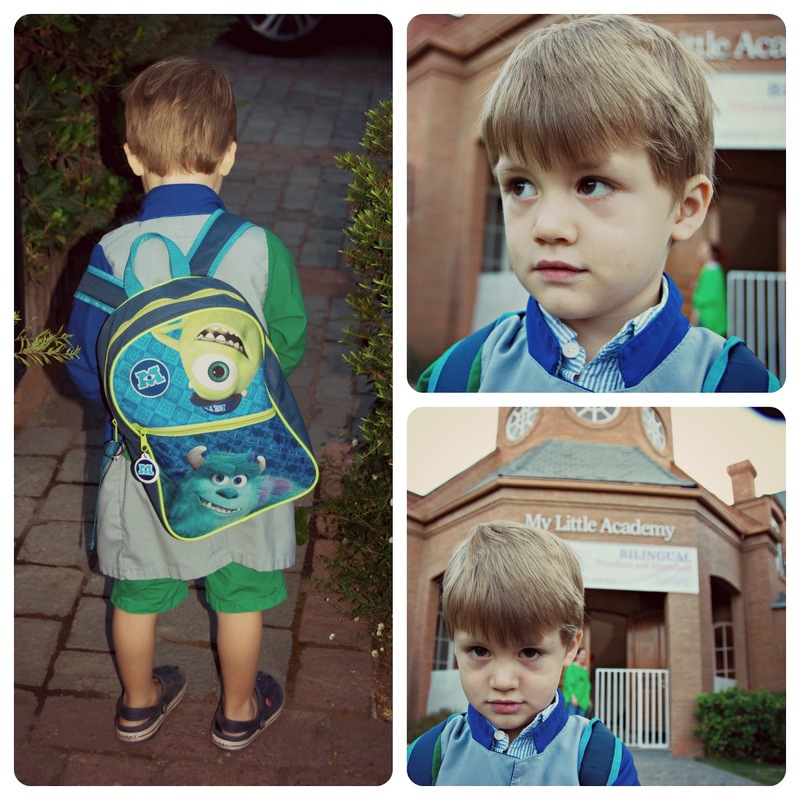 My little boy is growing up and today he was a little shy walking into school this morning. It is kind of ironic since for the last three weeks he wakes up every morning and asks, "Today I go to school, mommy?" He has been asking about his teachers, friends and every other aspect of school. They boy was on constant question mode and he was disappointed when Luka would go to school in the morning and he would have to stay home. But today he was shy and didn't want to let go of mommy. I didn't get any pictures full of smiles, but I did get his beautiful shy little smirk. Good luck during the next couple of months Sammy...pretty soon you will be going to the same school as your big brother. You will have many changes in the coming months...going to big boy school and becoming a big brother will all happen in the same month!